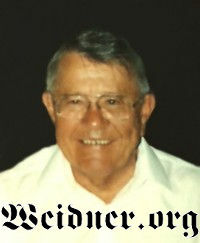 George D. Weidner. Courtesy of Daniel Funeral Homes & Cremation Services, St. Cloud, Minnesota. [S566] Lori Lee Weidner, Minnesota State Department of Health, Section of Vital Statistics, Certificate of Death. [S1332] St. Cloud Times, 13 Nov 2010, p. 3B, cols. 5-6, Birthdate, city, state. [S1332] St. Cloud Times, 13 Nov 2010, p. 3B, cols. 5-6, Death date, facility name, city, state. [S1332] St. Cloud Times, 13 Nov 2010, p. 3B, cols. 5-6, Cemetery name only.